Rotor Thickness Choose an option1.25"Pro 0.81"
The patented V3 attachment uses a retention ring that holds the hat and disc together. The ring means no need for torque wrenches, no hardware and no hassle. 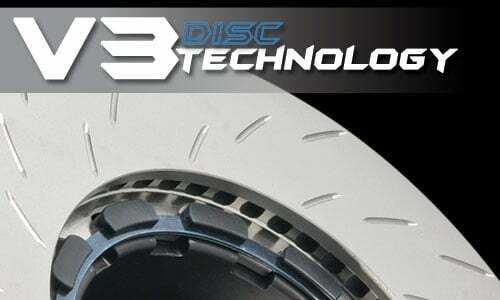 The ability to change a disc quickly and efficiently saves time and effort. As well as being convenient, the new V3 technology is much lighter than previous designs, making it easier to put on and pull off. 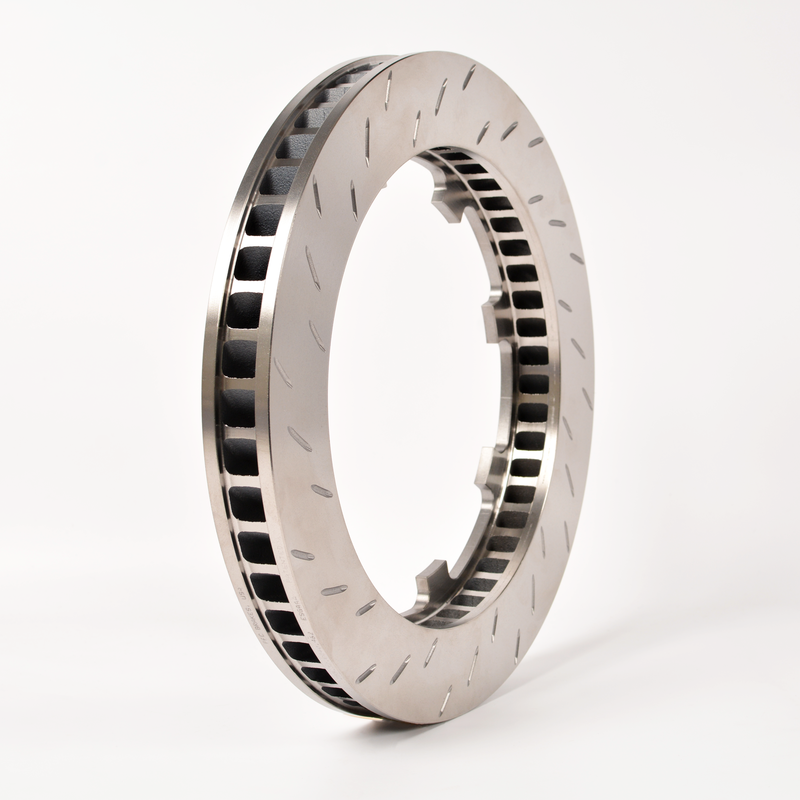 This V3 rotor retention method is based on the use of a two-turn retaining ring, which is held in a groove in the hat that overlaps the rotor flanges—effectively locking the rotor to the hat. Every single PFC rotor is 100% measured and inspected to meet strict tolerance specifications. Heat treated for micro structure alignment and durability. Runout less than .0005 inches and thickness variation less than .0002 inches, reducing pulsation and vibration. Vanes turned OD and ID for balance to reduce thermal warping and vibration. 48 or more vanes for superior thermal capacity. Surface finish less than .7 microns. CarbonMetallic brake pads deliver more stopping power throughout the operating temperature range, resulting in a firmer and more responsive pedal.